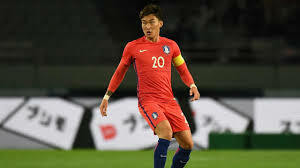 November 2 – South Korea defender Jang Hyun-soo has received a lifetime ban from playing for the national team after he was found to have submitted false documents relating to his military service exemption. Jang, who played in all three of Korea’s games at the World Cup in Russia and has 58 caps, was also hit with a 30 million won ($36,500) fine for “tarnishing the dignity” of the team. Nearly every able-bodied South Korean man aged 18 to 28 is required to complete 21 months of military service by law, but Olympic medal winners and Asian Games gold medallists are granted a special exemption. Instead, they are required to complete basic military training of up to 60 days, as well as 544 hours of sports-related community service over a three-year period. “This is to reinforce that anyone who stirs up controversy cannot join the national team,” the Korean FA said in a statement, adding that the tough penalty was aimed at “preventing similar cases in the future”. Jang won an exemption by winning gold with the Taeguk Warriors at the 2014 Asian Games and submitted a document that he had completed nearly 200 hours of community service in December last year. But it was later discovered that he had exaggerated his community service record since there was heavy snow on the day that Jang claimed to have held outdoor football lessons. South Korea has recently hinted at a possible reform of the military service exemption programme, which critics say unfairly rewards athletes and artists for one-time achievements. Some have called for the exemption system to be abolished altogether. Tottenham Hotspur forward Son Heung-min was the latest high-profile athlete to win an exemption after he led South Korea to gold at the Asian Games in Jakarta in September.